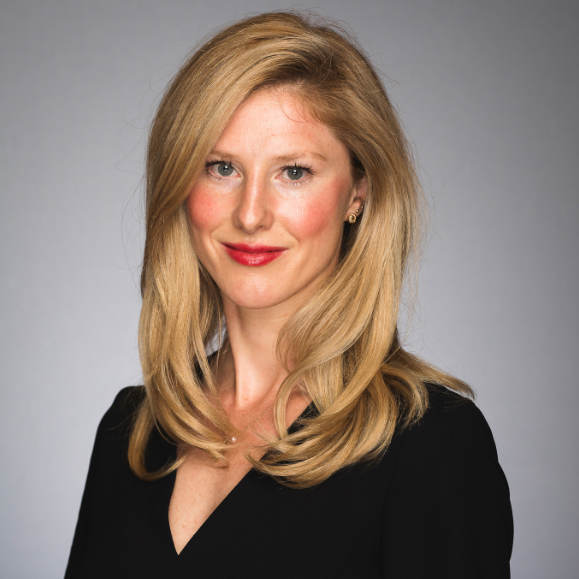 Emma Wall: Hello, and welcome to the Morningstar series, "Why Should I Invest With You?" I'm Emma Wall and I'm joined today by Emily Fletcher, Co-Manager of the BlackRock Frontiers Fund (BRFI). Emily Fletcher: Hi. Good morning. Wall: So, what is meant by frontiers? Because for you and this fund it's recently become a lot broader remit, hasn't it? Fletcher: Sure. Exactly. Thank you. So, when we think about frontiers, I mean, really, you have the developed markets, which I think are very distinct to emerging and frontier. And then you have really the rest of the world, the emerging and the frontier markets. And within that, we don't invest in the top eight emerging markets, the largest eight, which represents around 85% of the emerging market benchmark. We think it's therefore about 85% of where most people are invested in emerging markets, 85% of people's time. And therefore, really the rest remain sort of the Forgotten Forty and submarkets, that's what we think is really interesting. The things that people generally overlook where we think the correlations between the markets are lower. Correlation, for example, between any stock in those to eight markets, medium pairwise correlation is 0.6; in our markets that comes down to 0.1. So, much lower correlations. And we think forgotten. So, therefore, interesting markets because they are generally overlooked by your typical investor who doesn't really have the time or the scale to be able to focus on these small markets which take a lot more time. And therefore, there's opportunities for alpha in these less efficient markets. So, we focus on those smaller emerging and frontier markets. Wall: And one of those you recently become more positive on is Egypt, and I think that's quite an interesting case study, because it does have connotations Egypt which have recently been quite negative and that also is quite typical of frontier market investing. There is much more macro political noise and considerations than, say, if you were an U.S. equity investor? Fletcher: There is, and it is important to have a good understanding of the macro in all of the countries we invest in. And the reason is because we are dollar investors. So, you wouldn't want me to turn around at the end of the year and say I have done fantastically well. Your funds are up 200% in kwacha. What's important is how the fund has done in dollars. So, therefore, the understanding of not only what the equity market is going to do but the fixed income market and also the currency market is hugely important when investing in these smaller, emerging and frontier countries. So, to take Egypt as an example, when did we start to get entered in Egypt, well, it was after the very substantial currency devaluation that Egypt saw around 18 months to two years ago which then meant the currency is now at a sustainable level. At the same time, the government has also stepped in to do substantial things to address that what was then a huge fiscal deficit. And as a result of that they have now put their debt – or they should be putting their debt on a sustainable path. So, debt to GDP having peaked at around 100%, 110% should come down to around 80% over the next two to three years. Still a high level, but something that, I think, becomes unsustainable for them to be able to grow off. Why are we interested in Egypt at at the moment because we think that domestic activity can start to accelerate from here and we think that should be positive for equity prices. Wall: And of course, you are a bottom-up stock picker. But as you suggest there, there is this overlay of macro because of the dollar considerations, because the geopolitical rumblings in some of these regions can be far louder than in developed markets. Are there any particular countries for those reasons that you just say actually we're going to leave for now? Fletcher: Yes. I mean, at the moment, our view is on the emerging markets, we are broadly positive with a couple of exceptions. And the exceptions for me at the moment would be the Philippines, will be Turkey, and will be Pakistan. Those are all countries that we are either avoiding or in some examples have shorts in our portfolio for the reasons that we think that the countries are – the economies are overheating, or we think the currencies are substantially overvalued. And we think that those problems will manifest in what happens in the equity market and you will lose money – when the currencies get very overheated in our markets and you do have a big devaluation, well the equity market tends to be positively correlated and you lose money both on the currency and the equity markets. So, those at the moment are a big avoid for us. Wall: Emily, thank you very much. Wall: This is Emma Wall for Morningstar. Thank you for watching. Investor Views: "Why I’m Sticking with Alliance Trust"